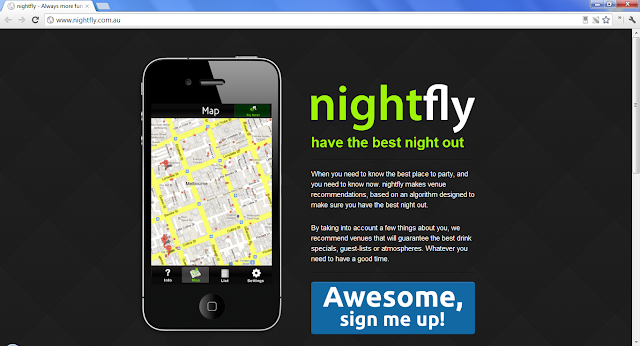 Nightfly intelligently recommends the best place to party based on your location and real-time ratings. The recommendations are personalized by considering your individual preferences and tastes. Nightfly was created by Oscar Morrison and Sam Stewart. It will be available on Android and iOS.